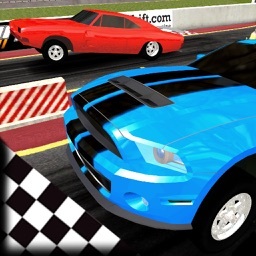 A drag strip in your pocket! 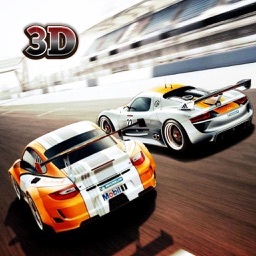 Join the community of real racers and download now! 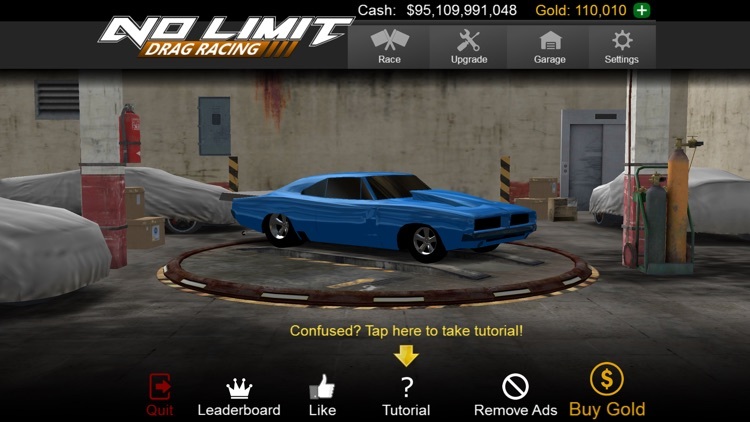 No Limit Drag Racing - the most realistic and engaging drag racing experience ever created for mobile devices - is finally here! 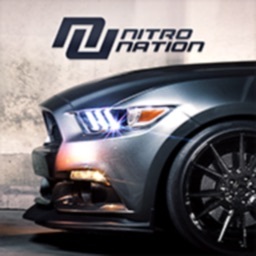 Build, Race, and Tune your car until it's at the absolute peak of it's performance. Get your experience in career mode, then take it online and go up against the best of the best in online multiplayer play! This is no over produced side-scrolling pseudo racer. This is raw drag racing - NO FLUFF! - just you, your car, and your competitors. 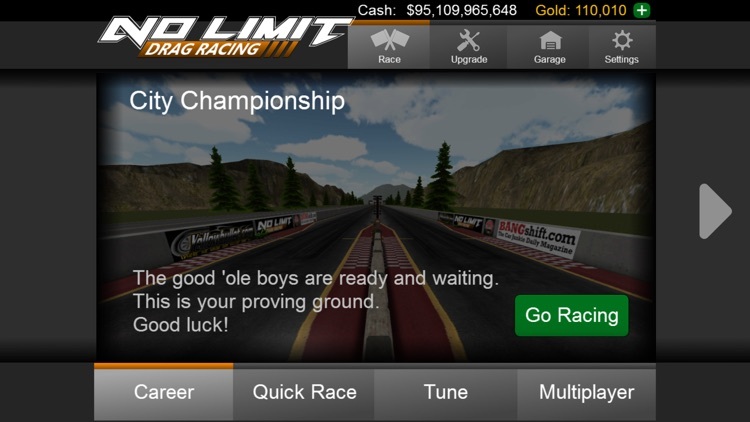 No Limit has a fully developed and integrated career mode with over 90 races for you to compete in and win. Work your way up the ladder from a small town hotshot to the world championship, and earn sponsorships and contract races a long the way. 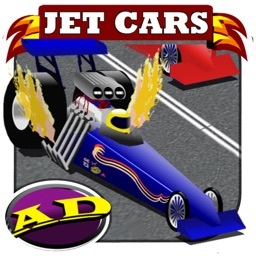 You'll have to be on your toes and your car will have to be tuned to the gills to make your way up to the World Championship and come out on top. 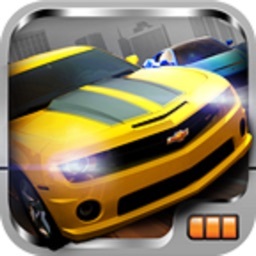 Play other racers from all over the world in online multiplayer play. 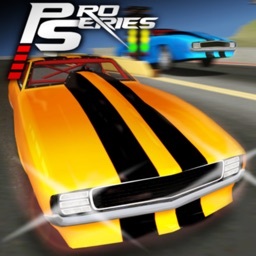 There are three racing types in multiplayer - Bracket Racing, Heads Up Racing, and Grudge Racing. If you're not familiar with these please look them up before attempting a race! These races are TOUGH, and are wagered races. There is NO LIMIT to the amount you can win or lose on a multiplayer race. Are you all in? 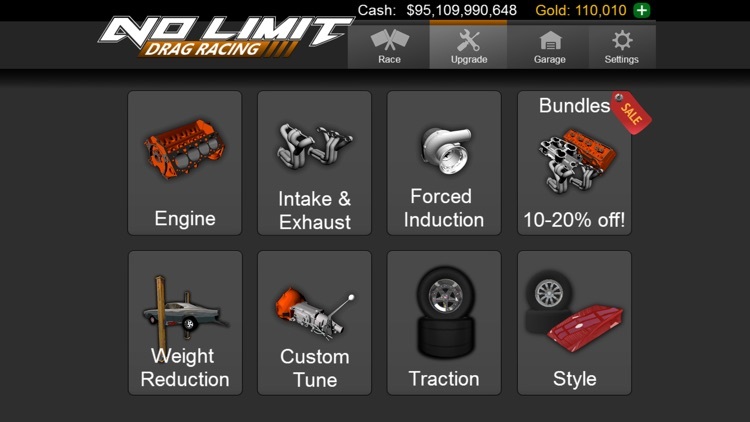 In No Limit you get complete control over the gearing, rev limiter, suspension, and launch control of your car. Want to run a tall first gear with a short rear? You can! Want to launch on the limiter? You can! The tuning aspects are so in-depth that you can even adjust how high off the ground your wheelie bar is! Mess up your tune? No worries - just visit the mechanic and he will reset you to a base tune. 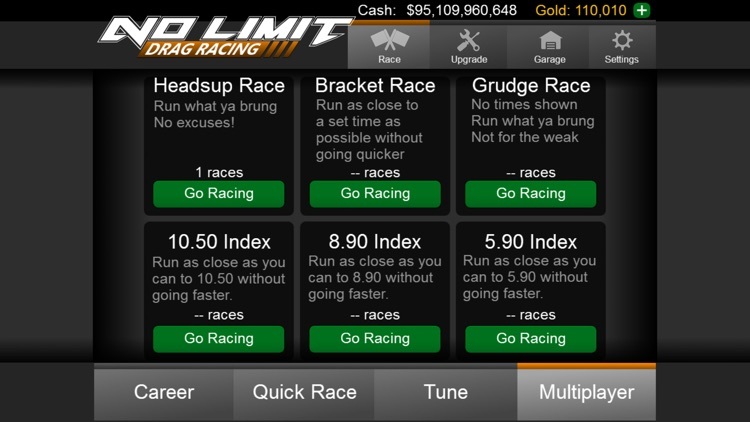 No Limit also gives you an unlimited amount of Test-n-Tune races to make sure your car is the best it can be. In No Limit you won't survive long running around in a stock car. So we've given you over 50 different modifications to keep up with the rest of the racers. Different engine blocks, intakes, valve trains, exhausts, tires, etc... As you modify your car you will have to keep up on your tune as each modification slightly changes your car's ability. To stay at peak performance, make sure you're constantly testing and tweaking your tune! 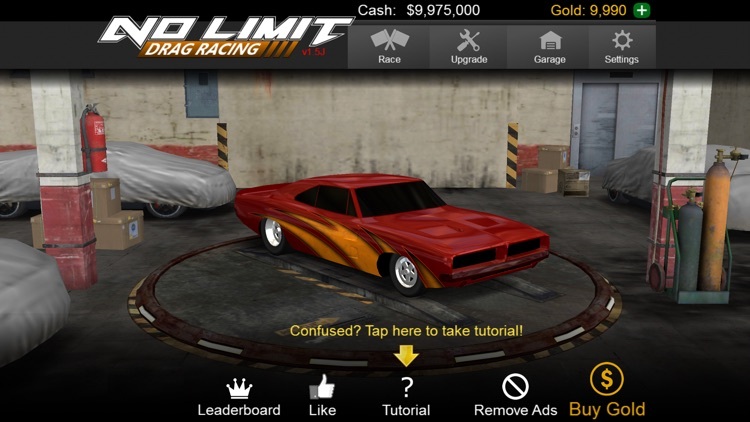 No Limit Drag Racing is ad supported, and completely free to download. If you want to disable ads, all you need to do is purchase gold within the game. Ads will be disabled with *ANY* purchase of gold in the game!